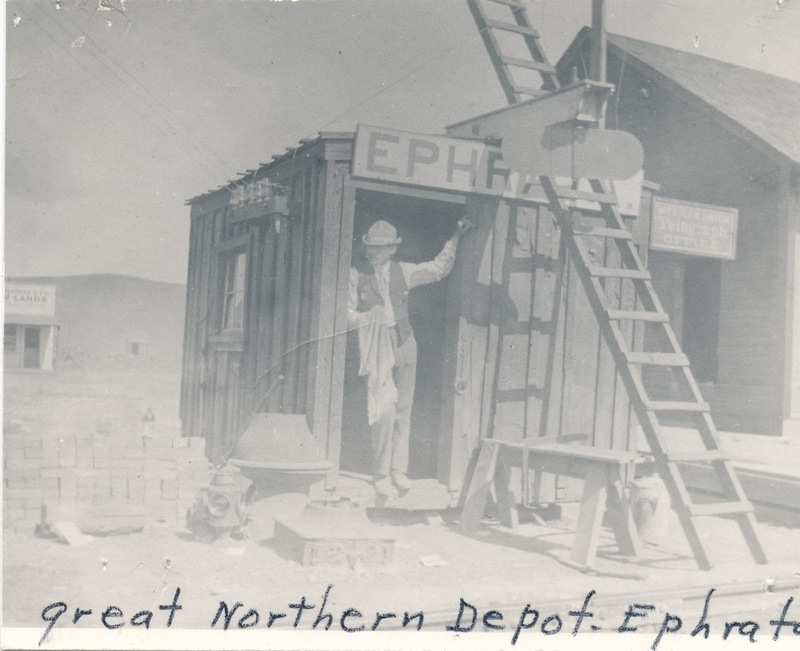 The first depot in Ephrata was a small affair, but had all the flavor of a much larger place. Note the train order board, the elongated oval thing hanging out over the door. This was a signal to trains to stop for orders. The lineside wires were connected directly to the depot. Note the glass insulators on the left of the building. This allowed communication with other stations along the line and to headquarters in St. Paul. The replacement depot on the right, opened in 1902, is nearly done.